Carolyn has over 35 years experience working in the UK tourism industry. In January 2017 Carolyn was appointed as the Chief Executive of the new ERBID Company. Previous roles include: Chief Executive of the English Riviera Tourism Company, Chairman of Visit Devon, Managing Director of Close Focus Tourism Consultancy, Specialist Tourism Advisor for Business Link Devon and Cornwall, Senior Tourism lecturer at Plymouth CFE and UK Product Development Director SAGA Holidays. 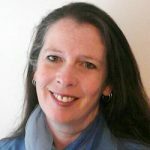 Carolyn is a member of TMI (Tourism Management Institute) Tourism Society and representative of the Visit England Destinations Forum with responsibility for leading on the new England’s Seafood Coast Project. 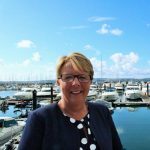 Angie has lived in Torquay all her life and knows the resort well having worked in Tourism for over 8 years and really enjoys meeting people and problem solving. As Promotional Partner Manager for the past 6 years at the ERTC, Angie was actively involved in producing the annual English Riviera Destination Guide selling advertising and seeing that those are translated both into the guide and onto individual product records on the web site. Angie has received training in the New Mind platform and is fully computer literate operating both the DMS and CMS. In particular she enjoys coordinating the annual Tourism Exhibition, selling the stands and managing the event. Through the ERBID development process Angie has become the person responsible for the ERBID database, representing close to 1000 businesses across Torbay and in her new role as Operations Executive increased her responsibilities to include looking after the day to day contact with all ERBID partners. In her spare time her hobbies are Racket Ball and Badminton. Katrine is the Visitor Information Executive. She is based in the English Riviera Visitor Information Centre on Torquay harbour side. Katrine first started work as a Seasonal Information Assistant in March 1992 and returned for several years before pursuing a career in Estate Agency. In 2009 the advantage of a failing property market gave her the opportunity to return to the job she has always loved. Having always lived within the English Riviera, Katrine has an excellent local knowledge and enjoys sharing and advising visitors with their often very diverse questions. Katrine has completed various training courses including Welcome to Excellence, Welcome International, Welcome All and DisabledGo and attained ‘Enjoy England Foundation and Intermediate Awards.